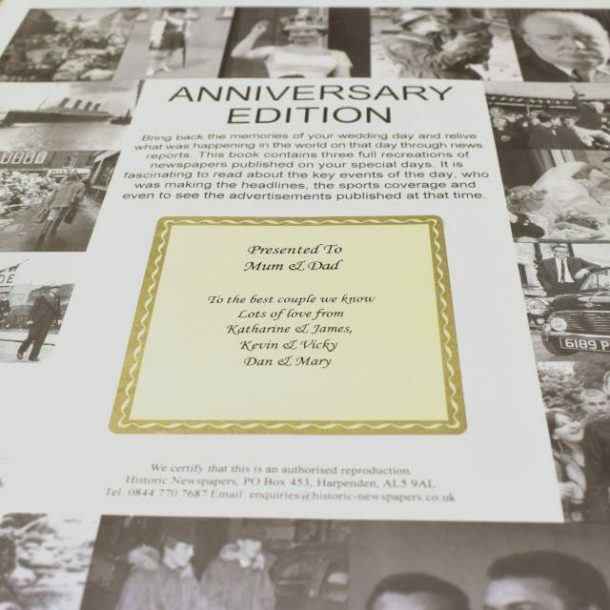 Gold embossed names will be added to the cover of this Personalised Anniversary Edition Newspaper Book, at no extra cost to you! 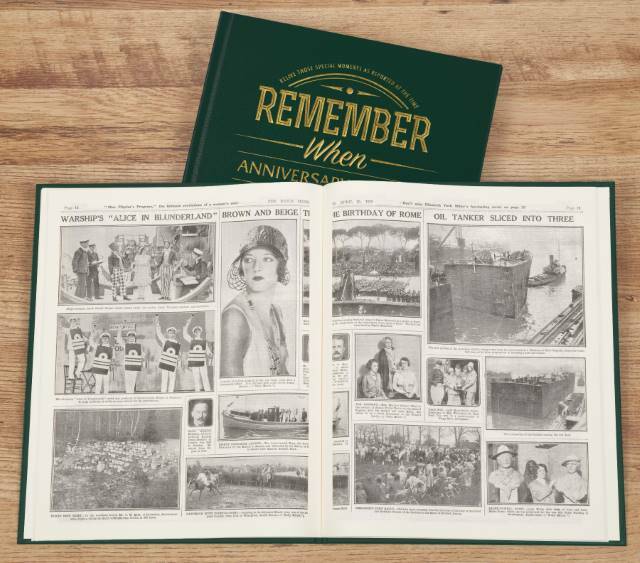 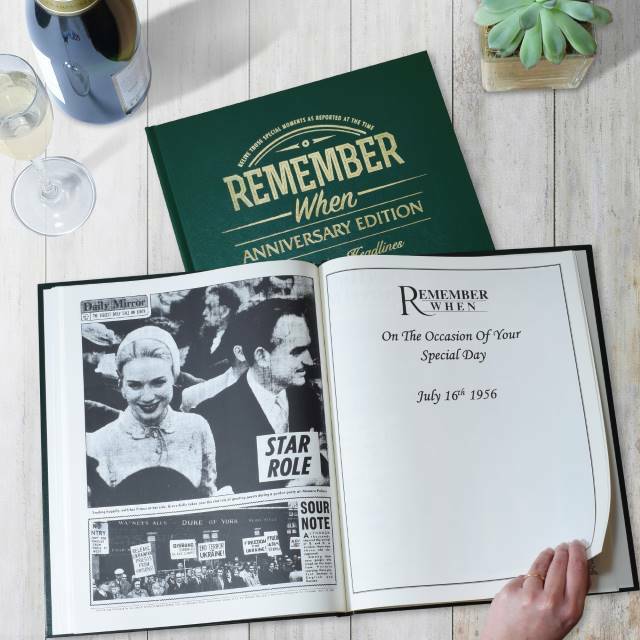 Our anniversary book is a lovely keepsake gift for friends, family or yourself, especially if it’s a landmark number being celebrated. 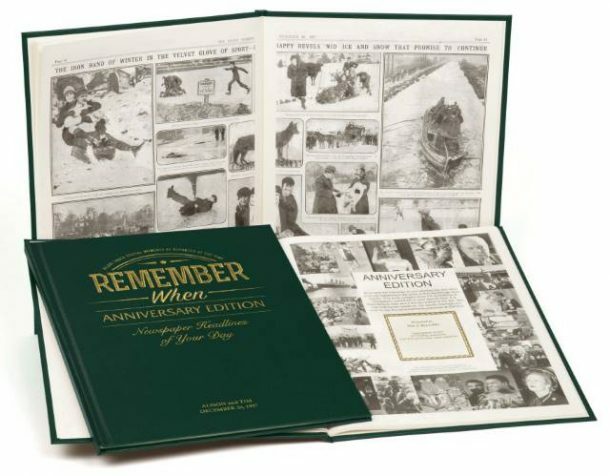 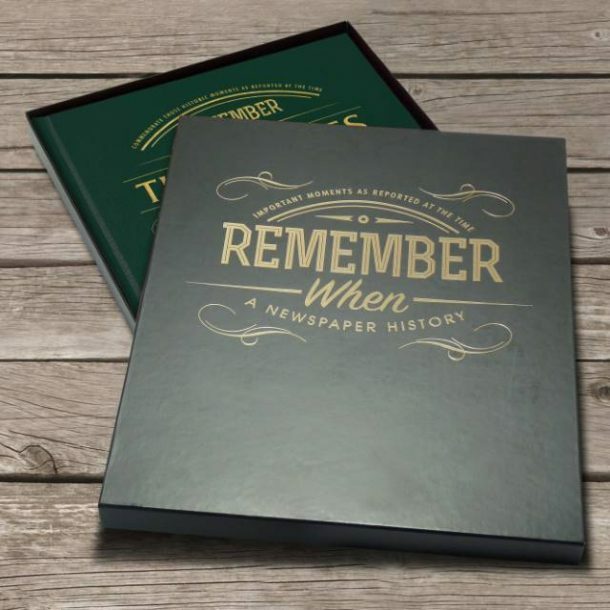 The book contains the reproduction of a complete original national newspaper from the day of the wedding, and also includes scans of complete newspapers from the dates of each of the couple’s birth. 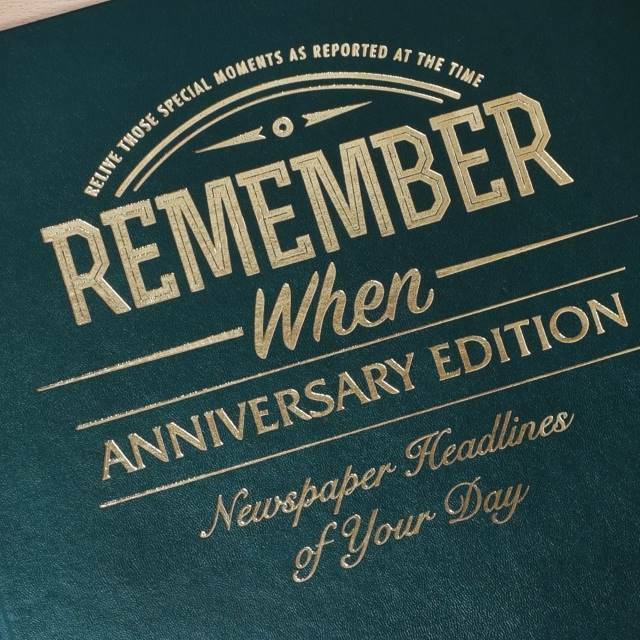 All pages will be printed in black & white with all the news and advertising that was hot at that specific time. The book is approximately tabloid in size and the contents are taken from the Daily Mirror. 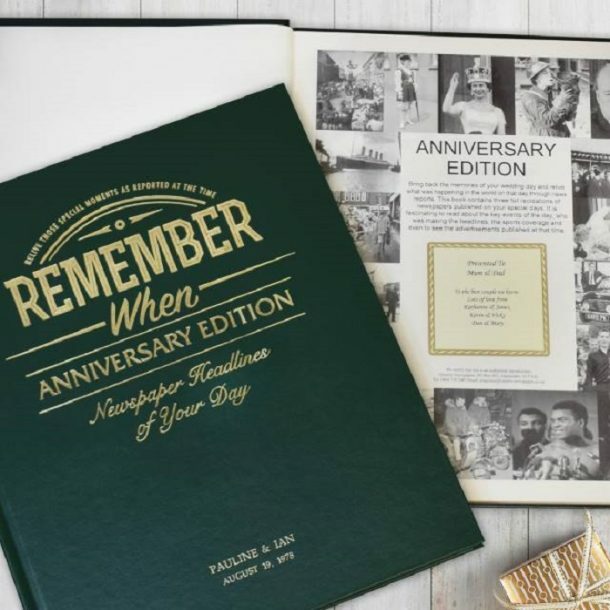 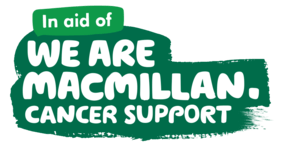 The cover is hard backed and made in a lovely racing green and will feature the couples name and wedding date embossed at the foot of the cover, this will be done at no extra cost to you. 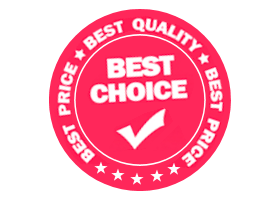 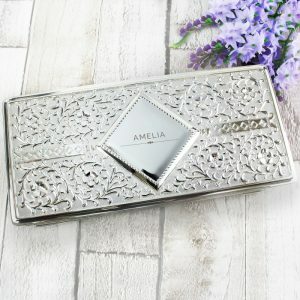 We also offer a luxury gift box on this item for an additional £5, which will save you the wrapping time and ensure it’s presented in style. 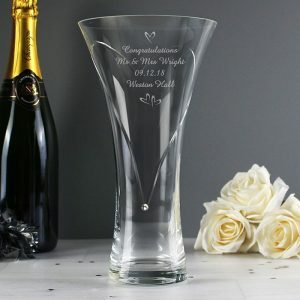 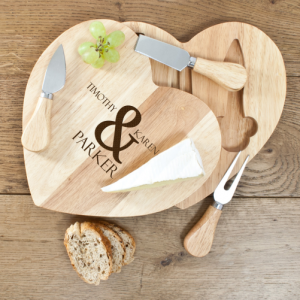 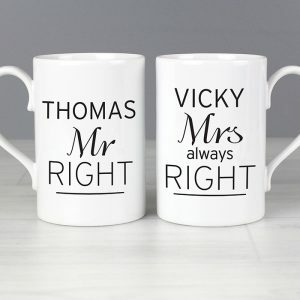 For the personalisation we need the couples names, wedding date and both of their birth dates, along with any 150 character message from you. 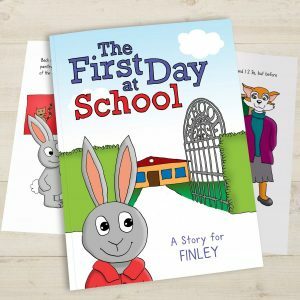 The message will be printed on the opening page over 5 lines, creating a personalised book they’ll adore. A constant reminder of such a memorable day, a high quality newspaper book that’s a perfect Wedding Anniversary gift for someone you love.